Plymouth University has set up a pre-registration service for students ahead of A-level results day. By registering their interest in studying at the University now, applicants will be able to beat the rush and speak immediately to advisers once they collect their results on Thursday 18 August. They will also be able to access detailed advice about study and courses now, enabling them to make an informed and considered choice once they receive their grades as all the preparations are done in advance. The option is open to those who have not currently applied to study in Plymouth, or have only recently decided they want to start university in September, and all interested students need to do is complete the appropriate form by following the links below. That dedicated clearing webpage also features a range of Confirmation and Clearing tips, enabling those who exceed their expectations – or receive results that were lower than predicted – to discover the options that are available to them. There are details about the special Confirmation and Clearing Information Days on Saturday 20 and Sunday 21 August, providing an opportunity for prospective students to have a last look and get a feel for the campus and chat to current students who have been through Clearing themselves. There is also information about the University’s Clearing hotline – 0333 241 6929 – which will open at 7am on Thursday 18 August. Last year, it received 10,000 calls, and those who pre-register will be able to jump straight to the front of the queue. You don't have to wait until A level results day to register for clearing, you can pre-register here now! 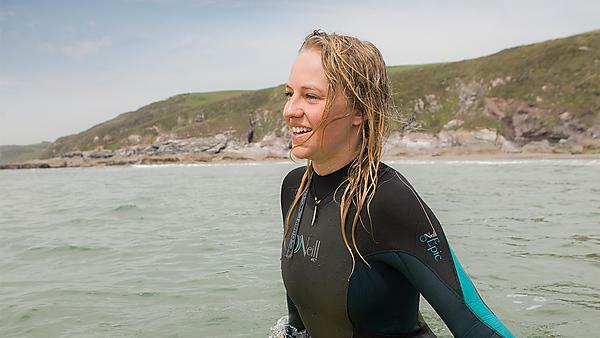 Keep yourself updated and beat the results day rush by registering your interest in a Clearing or Adjustment place with Plymouth University. 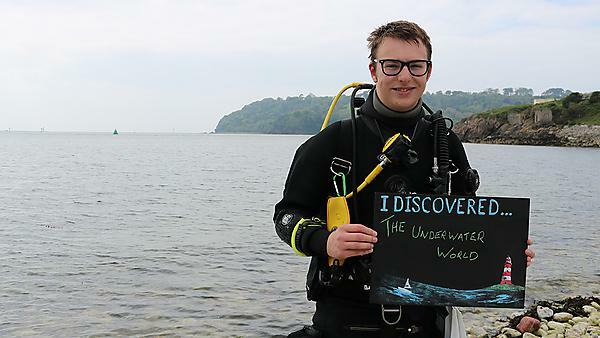 "I discovered the underwater world."